Landscaping and Irrigation: Irrigation and Landscaping are a great way to improve your yard while adding to the value of your home. 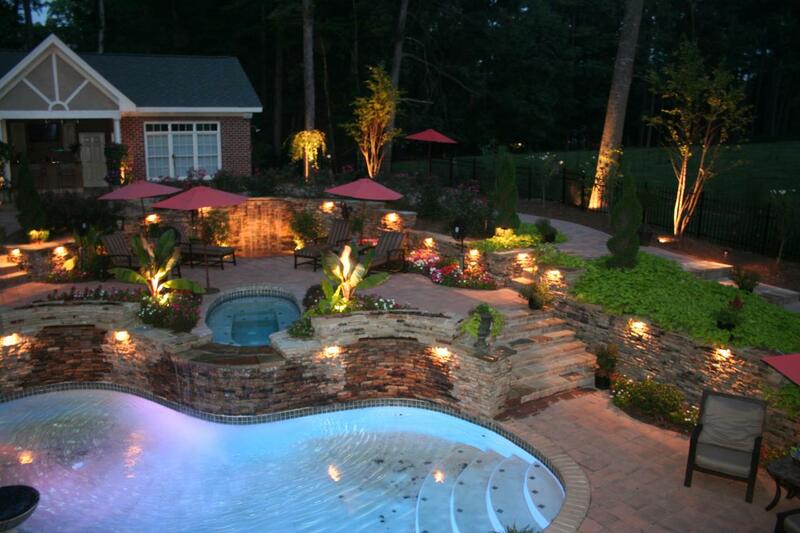 Whether your yard needs a few plants or needs a complete makeover, Whiten Pools will be happy to help. We do a variety of landscaping including, grading and backfilling, topsoil placement, irrigation, plant installation and much more! Retaining Walls and Outdoor Patios: We also specialize in retaining walls and outdoor patios to make your backyard more usable. Paving: We pour a lot of concrete as we build pools and can handle any kind of concrete pouring job you might have. Patios, driveways, landscaping, you name it we can do it.